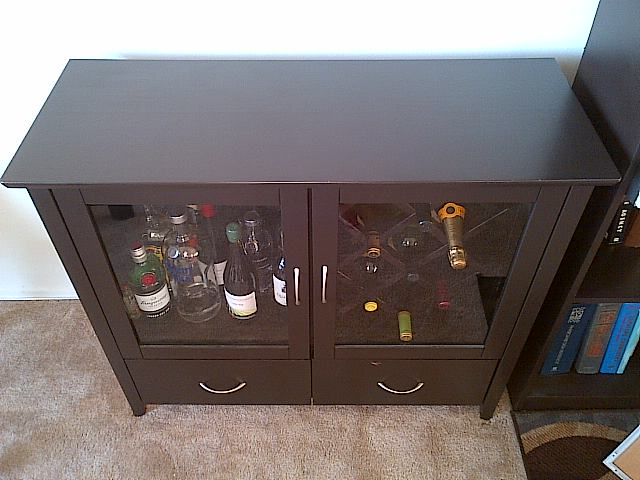 Tired of seeing my collection of alcohol collecting on top of a chopping board cart, I decided it was time to acquire a liquor cabinet. 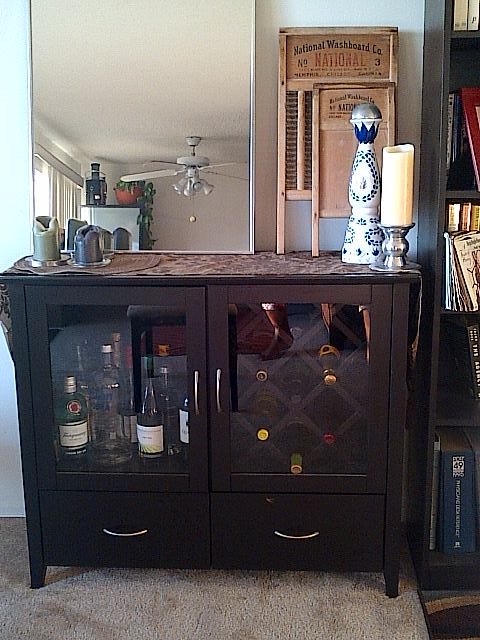 That decision led to me scouring Craigslist like a furniture fiend. I was determined to find a deal! And what a deal I found. First I removed all the hardware. 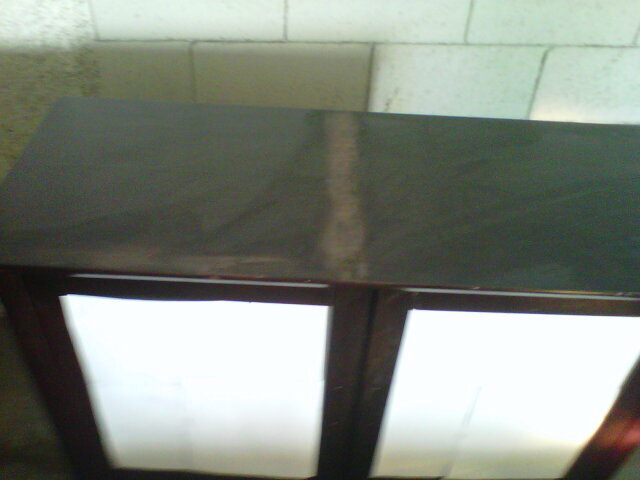 Then, I covered the glass with printer paper (make do with what you have) so that the paint would not get on the glass. 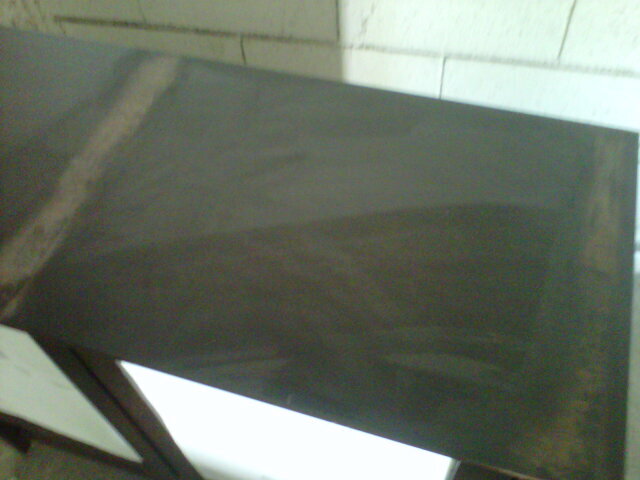 Next, I sanded down the areas where the tape was (in the above pictures) to smooth it out. 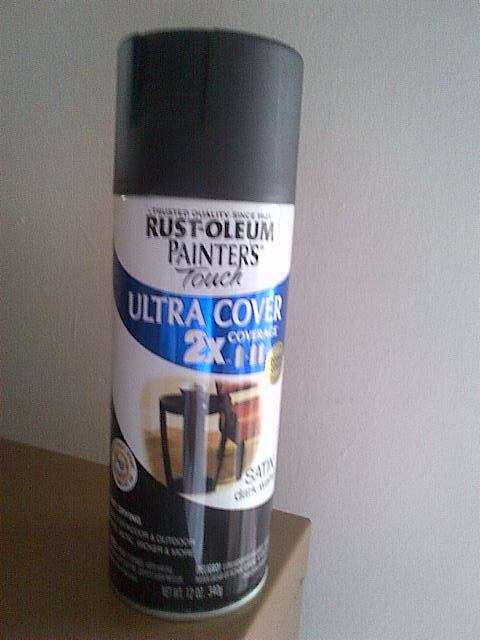 Then I painted the entire piece with RUST-OLEUM Painter’s Touch Ultra Cover in Satin dark walnut. The final result was fabulous. I am so happy I found the perfect piece. It was easy and fun to rehab and it makes me proud every time I look at it. What do you think? ps. 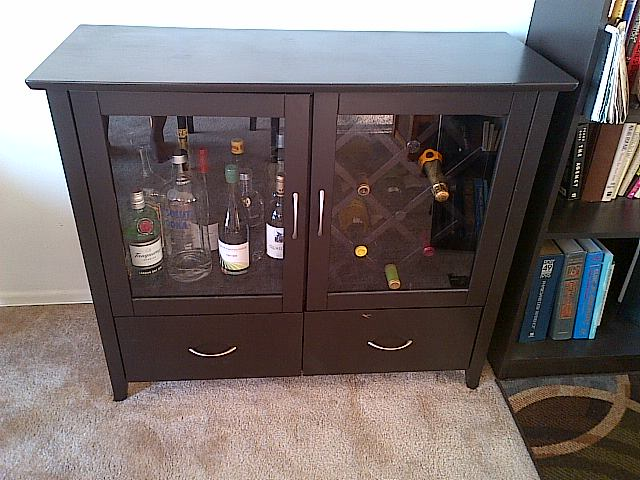 Since the rehab I have already put a nick on the bottom right drawer :-(. I’ll fix it as soon as I find the time. C’est la vie!